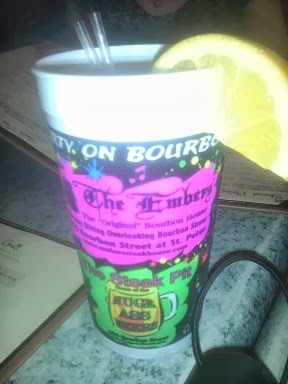 While chilling on a balcony at Embers Steakhouse on Bourbon Street, NOLA, opted for a taste of their version of a Hurricane! This one gets a Good Rating from the Winos! Will purchase it again in the future. 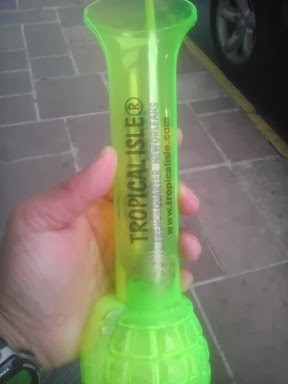 Bourbon Street, NOLA... Hand Grenades, Anyone! Was out and about on Bourbon Street in New Orleans for Mardi Gras! Broke down and tried a powerful drink called a Hand Grenade or like some of the locals call it, "the Devil's Drink"! Red Wine Wino did not listed and had two; White Wine Wino had half of one. If you want a powerful but tasty drink, this is one for you! For us, it gets a Good Rating but next time the Red Wine Wino only gets one.... no more than ONE! 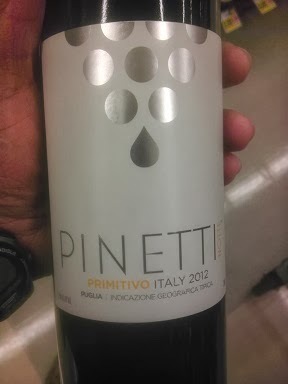 Pinetti Primivito is a red wine that comes from Italy. Red Wine Wino was good with it but that was mainly because it's a red wine that gives him a good buzz. White Wine Wino says hold on this one; it gets a Neutral Rating. 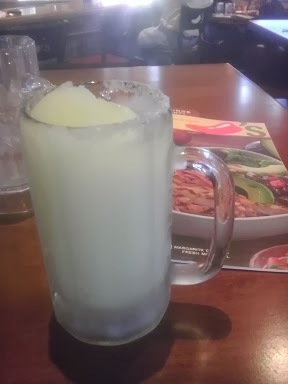 While on the way home from doing errands, decided to stop by Chili's for a bite. While there, ordered a ice cold Margarita. 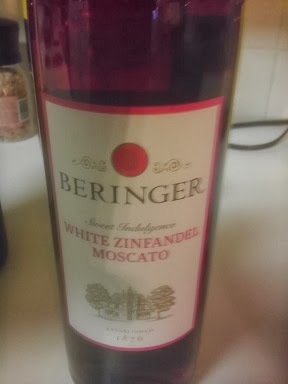 We know its not wine and this is a Wine Blog but went ahead and posted a picture and gave this one a Good Rating. We plan to purchase more of these in the future! 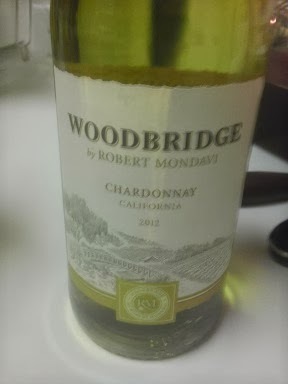 Woodbridge by Robert Mondavi is offering a Chardonnay. 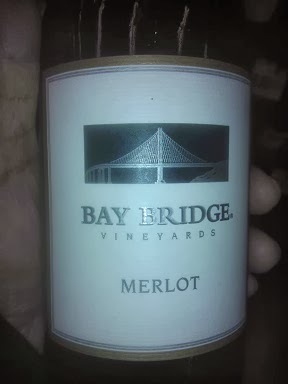 Gave it a go and more differences in opinion between the Winos... another Neutral Rating. 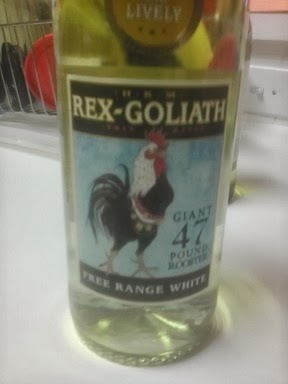 Tried this one on a whim; liked their Merlot and Moscato, so why not try the Free Range White. Little difference in opinion between the Winos. 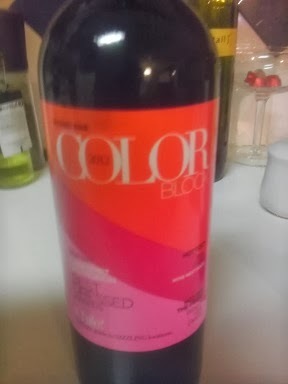 Red Wine Wino would buy again; White Wine Wino would not.... this one gets a Neutral Rating. Color Block Cabernet Sauvignon comes from Chile. Has 12% Alcohol Content and comes in a screw top instead of a cork. Red Wine Wino liked the strong alcohol content and was good with the taste. White Wine Wino opted not to purchase this one again. This one gets a Neutral Rating. Bought this one several years ago. White Wine Wino was not sure about it and did not want to buy it on price alone. Went for $3.50 at the local market back then. 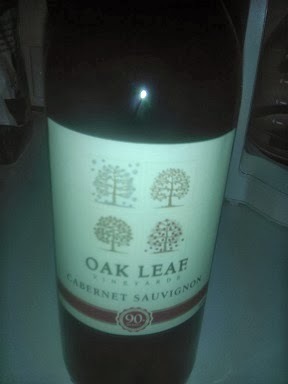 This time the Red Wine Wino bought it because it was still under $4.00! Winos gave it a go,... Red Wine Wino is good with it but the White Wine Wino still is holding out. So, it looks as if the Neutral Rating stands "as is". 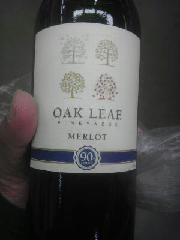 Well we tried Oak Leaf's Merlot and Shiraz, now it's their Cabernet Sauvignon. This one we could not agree on to purchase in the future despite the $2.97 price tag. So, it gets a Neutral Rating. 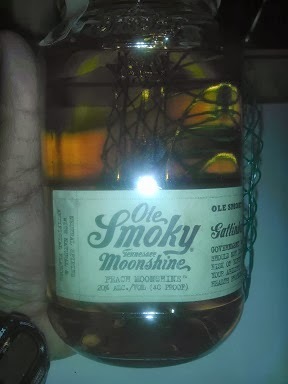 Here is something different - Ole Smoky Moonshine - Peach! It comes in at 40 Proof and has a taste of peach in it. It's not wine but we opted to give it a try. We liked it but there was a Apple Pie and Cinnamon that we tried earlier. Next time... going with the Apple Spice. Like the taste, plus it is the "Full Monty" 80 Proof that we like in distilled spirits! 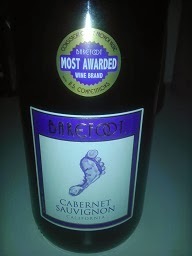 Picked up a bottle of Barefoot Cabernet Sauvignon last week. Both Winos true to their Wine Rating System gave this one a Good Rating which meant they would buy it again. So, they did... and it continues to earn a Good Rating! 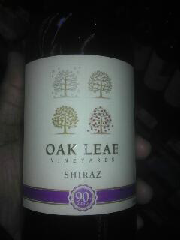 Oak Leaf Shiraz for $2.97, too! Unlike the Merlot offered, the two Winos agreed to buy this one again! This one gets a Good Rating.